ATLANTA--(BUSINESS WIRE)--Arkadin, an NTT Communications company and leader in Cloud Unified Communications and Collaboration services, announced the addition of Cisco Spark™ and Cisco Cloud Connected Audio - Service Provider (CCA-SP) to its market-leading solutions. The services are integrated with Arkadin's PSTN audio for a complete meeting experience. A Cisco WebEx™ sales and service partner since 2001, Arkadin is one of the few partners to implement these services on a worldwide basis. "Cisco has redefined the collaboration market through innovative cloud services that are transformative and enjoyable to use," says Christophe Reyes, Arkadin's Managing Director Unified Communications Service Line. "Together we are focused on bringing businesses into the future through UC&C products that are integrated with the highest quality PSTN audio for a more digital and productive way of working." 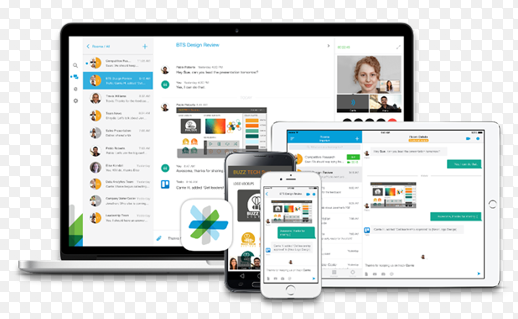 Cisco ushered in a new era of collaboration with Cisco Spark by enabling companies of all sizes to buy messaging, meeting and calling services directly from the Cisco Collaboration Cloud. The service is secure, scalable and easy to manage. Users can message, meet or call anyone, anywhere at any time, and from any device. Whether on a room system, like the new Cisco Spark Board™, a desktop phone or a mobile device, they have the same meeting experience. Through a single click, users can turn a phone call into a video meeting and with a simple swipe, a video call can be moved from a room system to a mobile phone and to another room system. Arkadin will introduce Cisco Spark Calling, which is suitable for businesses choosing a Cloud PBX or wanting to leverage their existing on premise telephony equipment. Businesses looking to optimize audio conferencing cost structures by leveraging existing networks will benefit from Cisco Cloud Connected Audio - Service Provider (CCA-SP) natively integrated into Cisco WebEx. The OPEX subscription model, coupled with the hybrid audio environment and secure, scalable global cloud infrastructure, offers advantages for businesses of all sizes. Branded Cloud Connected Audio - Arkadin, the service, available in the America's, EMEA and APAC, natively integrates into Cisco WebEx meetings for high quality and consistent PSTN audio supplied by Arkadin, including global toll, toll-free, and call back services. HD native VoIP is provided by Cisco and there are no charges for VoIP usage. Businesses can use their on premise IP telephony network for simple, cost-effective meetings integrated with the features and capabilities available from WebEx Meetings. Audio bridging is managed in the WebEx cloud, which provides unlimited capacity. As a member of NTT Communications, Arkadin customers have an in-region global network and UC platform that delivers the highest level of performance. Customers benefit from locally administered end-user support. Organizations with complex requirements receive comprehensive planning, implementation and training services from Professional Services teams. Arkadin enables clients to succeed in a digitally connected workplace with market leading cloud communications services. Over 50,000 businesses spanning the largest global enterprises to small companies have enjoyable collaboration experiences from our audio/web/video conferencing and Unified Communications services. As an NTT Communications company, we provide a cutting-edge infrastructure for premium service quality and unrivaled customer support that is administered locally through 56 operations centers in 33 countries. \"Cisco has redefined the collaboration market through innovative cloud services that are transformative and enjoyable to use,\" says Christophe Reyes, Arkadin's Managing Director Unified Communications Service Line. \"Together we are focused on bringing businesses into the future through UC&C products that are integrated with the highest quality PSTN audio for a more digital and productive way of working.\"